Social Media plays a huge impact in today’s world. It all started with sharing the photos on these sites. Photos with friends and family were in a rage. 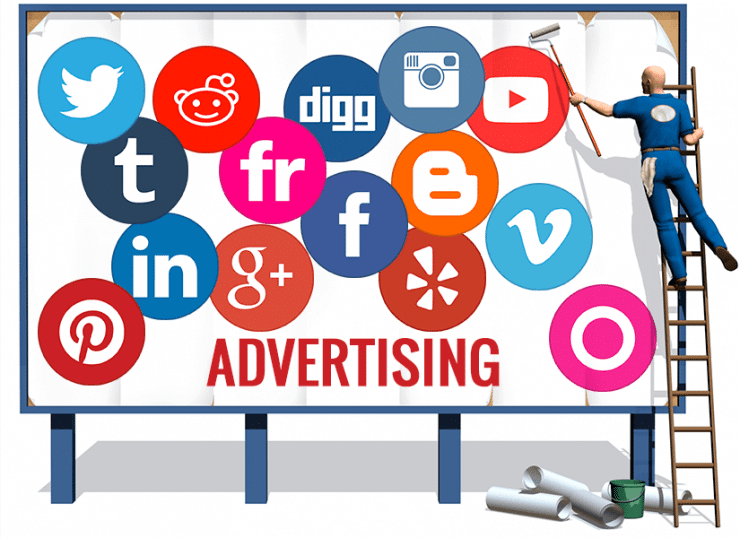 The term social media advertising means any form of online advertising which is paid in nature. They mainly surround around all the networking sites. The networking sites the Facebook, Twitter is very advantageous as the advertisers can take and give full information about their product through it. The advertisement differs from one place to another to suit the people. There are many forms of targeting options like the geotargeting, socio-psychographic targeting, the behavioural targeting, and many other kinds. The advertisement in the social media revolves around information which is collected from different groups. These are a digital advertising strategy which works through the promotion of a product with the help of attractive ads. The Facebook, LinkedIn, Pinterest, Twitter, and Google+ are the most popular social media websites used by companies. A huge amount of people reach such websites on a day to day basis. There are different segments of audiences attracted to different advertisements. The micro level target will only be achieved with a high target rate. Earlier the word of the mouth was good enough to attract the customers. But this was only the case before the television, radio, and newspapers came in. The situation aggravated in the latter half with the advent of the technological facilities which led to the increase of social media websites. Most people fell prey to such sites and they spend most of their time in it. There was a beginning of a new window where the consumers could recommend a particular product to some other person. All the popular brands have their own product pages which they maintain regularly. Along with that, they provide attractive facilities to the influencers and people who consult their products with the help of their positive reviews. The absence of the company pages in the social media pages could be very disadvantageous for the brand. With the help of social media networking, your communication about business matters will be much more reliable. It helps much more interaction. The buying decisions in today’s world are hence very much influenced by social media. The Sprout Social has actually claimed this. Not only do the B2B companies benefit from this but also other companies do benefit worldwide. The people who have a great influence on social media are the social media influencers. They are the people who have a huge number of followers. There stands a large audience who admire them. People have a continuous eye on their social media activities. Irrespective of them sharing some sponsored content or not, people are greatly influenced by whatever they suggest. They are put at a pedestal by the common people. There is a kind of “bandwagon” effect created by these social media influencers. For example, if for instance a particular social media influencers promote jeans and talk about how stylish and comfortable the jeans is, all the young people will start surfing about the brand. 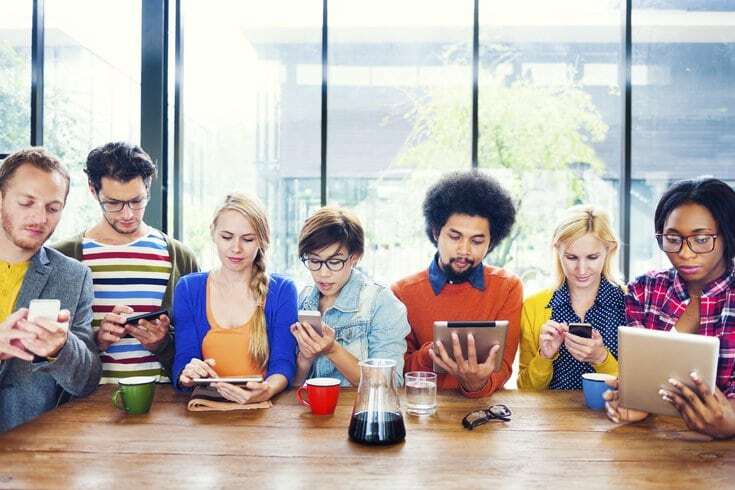 These social media influencers have a great hang about most social networking sites. They make money and get different incentives for promoting the brand. In turn, they have a great impact on the common people you stand to be the potential consumers. Because some of them earn a living out of this some of them even acquire proper training for selling them. In this way, the followers are easily driven by the brand and end up purchasing the product. In order to increase the purchase of your products, start reaching out to such influencers this way you will be able to improve your business. A large part of the industry today still works by the word of the mouth. So never hesitate to get hold of such individuals. First, you need to be on social media and spend the time to carefully analyze what are the number of followers a particular influencer have and the kind of people who follow him or her. Then look into how they influence the people with their posts, how regular they re with their posts etc. Taking all these into consideration you need to make a wise decision finally. Design proper incentives for them from time to time. Remember, the key to success is winning people hearts, be in the general consumer or the social media influencer. The ultimate goals are to reach your target in every way possible. Invest before to get the better fruits. The work of social media is to connect us to the intimate members of our life. The friends and family are the ones who will always strive to connect with the help of social media. Now with the rise of industrialism, most people are separated from their intimate members. We tend to connect with them over the social networking sites. People exchange sufficient to talk about products in the market too. The discussion is sometimes based on a new product in the market and their experience with the product. They share their reviews, images of the product and also ask them to view the products on Youtube before making their actual purchase. Instantly links of the online marketing websites are exchanged and with the click of the mouse, the purchase is made. Most people always end up purchasing a product which their friends have suggested to them. If he or she is your best friends then it is all the more easily to get influenced. Obviously, the review from your aunt or your friends will matter more than a stranger in the market. Being an ideal marketer you should always encourage your consumer to join the different groups in the social media. They here can be asked to exchange reviews and this, in turn, can be shared on their social media. Creating unique hashtags for your brand is also useful. All these are definitely trending and will attract a huge number of consumers. Sometimes hosting some giveaways and competition also helps. You can simply click a picture of your product and then ask them to follow the simple steps to win the contests. Make sure that the steps are easy as following your company page on Instagram, Facebook etc. make sure that the prize of the giveaway is interesting and useful enough. Social media marketing is a huge trend for marketers in today’s world. Everywhere people talk about digital marketing. Hence having knowledge about digital marketing is very crucial. The credibility of your product is always measured with the presence of adequate positive reviews of your social media page. Therefore we can conclude that it is essential for creating a store page on Instagram and Facebook. Twitter also helps in a number of ways to get in touch with the latest news about a particular product that you have introduced in your store. The feed of your page should be well maintained. A page with a regular feed, showcasing that a number of people are using your products can be quite attractive to the potential consumers around. Therefore exploit the situation and make sure you style your page inadequate ways by adequate means. Having a strong feed is essential and tries to increase the number of followers on your page. This can be done by introducing interesting campaigns. Having more followers will make your brand more popular and hence more sales will be achieved. Achieving high targets is a simple calculation which you can make in no time. Make sure you have your feed flooded with entertaining posts. An important tip is to maintain a regular online store even though you have a regular store. Online store is very helpful and can be marketed more to reach a wider audience. Brand awareness is created and consumers can gain a lot of information about your brand. There are more benefits of social media marketing. Advertisement plays a crucial role in achieving your sales targets. It is really important to achieve your business goals at the earliest. Social media is flooded with the ads. The user views the ad with the click of the button. There are different stages which the consumers pass through before making an actual purchase. First and foremost the awareness is created. Clicking on one and leads to another and in this way the consumer passes through a series of such ads. In the process, he or she can also land up in your site. In this way, he discovers, after which he needs to intent to buy your product. If at all he has the intention to make the purchase, careful evaluation is made by him. Therefore evaluation stands to be the next stage. After seeing adequate reviews and comments on the websites the consumer may finally decide to buy the product. An advertisement on social media pages gives a consumer a gentle reminder of purchasing the product. There can be complementing products shown in the social media pages along with these products. As a marketer, you can plan to organize certain discussion groups or participating in the discussion groups as a potential member. Not only do the consumers have groups the brands also create groups. The consumers are the ones who search for a particular product in the market. The suppliers are the one who has the responsibility of appearing in the feed at an appropriate time so that they can purchase the product. The keywords play a huge role to come in the suggestion lists. Keywords are the means through which you can achieve your target. In social media, they play a much more crucial role. However one should note that getting on the suggestion lists in these social media pages are relatively much easier. The real struggle of the online store begins in the Google search engine. Insert keywords which are actually related to your business. Unnecessary keywords will fetch you nothing. Insert these keywords in the form of headings and interesting captions for the photos. Comment can also include these keywords at times. Everyone loves to play a contest. You do not like to win the prize? We all love right? Therefore make effort to come up with a simple contest offering an expensive and useful prize. It will create an engaging follower who will definitely increase the sale of your products. These contests can be easily conducted on these social media sites where the emerging youth keep a constant check. The key for such campaigns should be maximum participation. 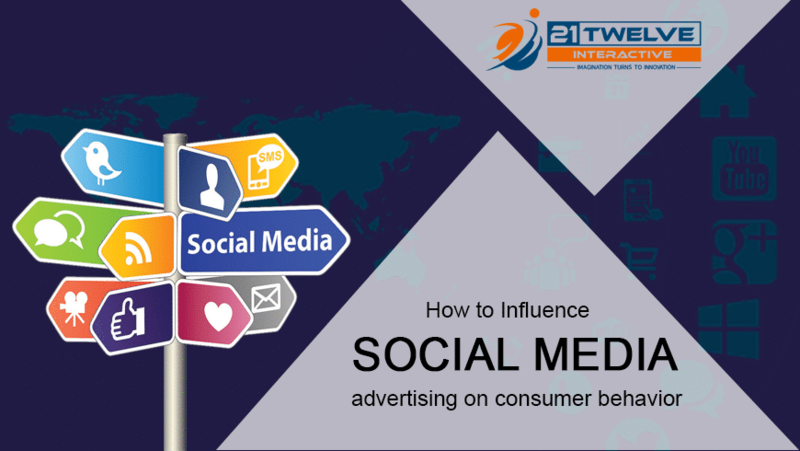 Consumer behaviour on social media advertising is greatly noticed. Trending posts are the ones which first appear on the screen. This new type of features can be noticed in the social networking sites. 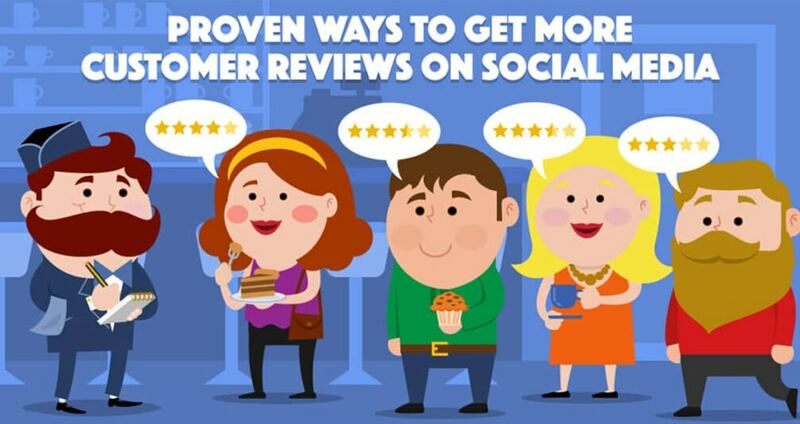 The posts which receive a number of likes, comments and reviews are sure to appear first than the ones with less. Therefore you should make sure that you post enough to engage your followers. This can, in turn, make them purchase your product. If your products look attractive enough and keep appearing on their feed every time they will be influenced to buy them at the end of the day. 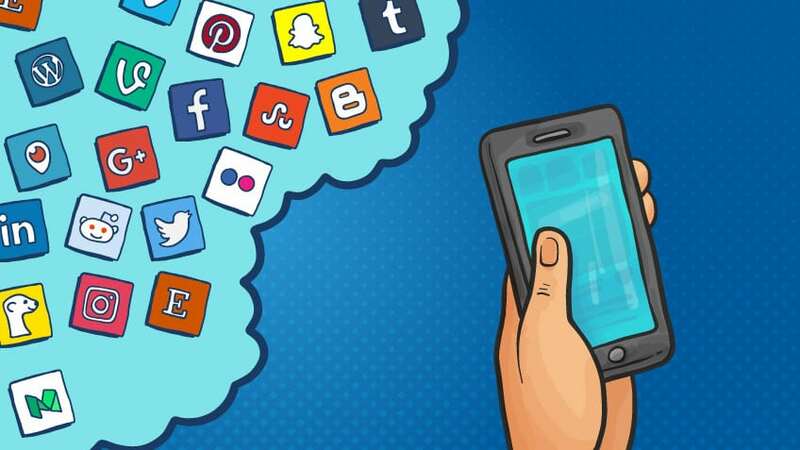 After reading the above points you can clearly understand that social media marketing helps us to explore a wide array of options to market our products. We can also reach to potential customers and influence their mind. We just need to find the right tactic to do so. The key is in the initiative. A separate team of leaders who are concerned with social media marketing will be a great idea in promoting your brand. This is an essential field in which sufficient attention should be invested to maximize the benefits from social media marketing.